I made this lush oversized shopper for my friend Sophie a few weeks ago, aptly named ‘The Sophie Shopper’. 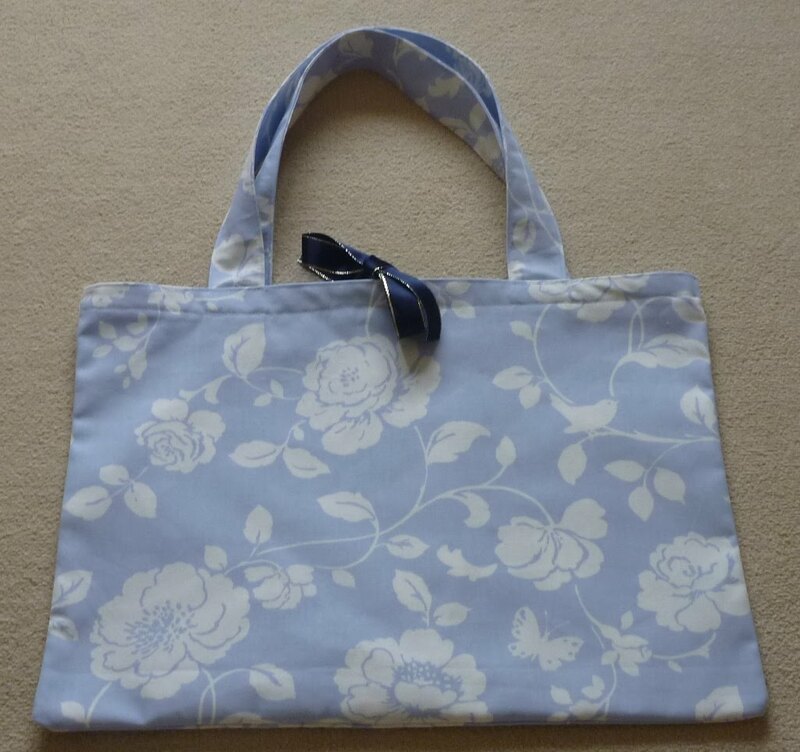 The Laura Ashley style fabric is from Dorchester Market – about £9.99 a metre, but the lovely stall owners gave me a very generous metre which meant I could line the inside of the bag as well in the canvas fabric. I added some navy/gold trim ribbon to add a twist of Country Bumpkin Chic magic so Sophie can carry her yummy bread home from the Town Mill bakery in Dorchester. Next Post Autumn has officially arrived!